A Lower Elementary student works on a stellarnucleosynthesis activity. 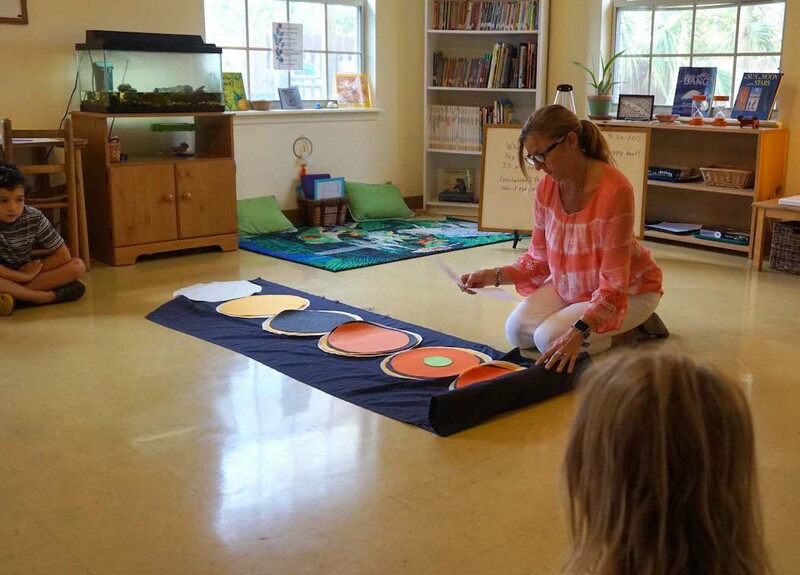 On the first full day of school, the Elementary students watch as the first of five Great Lessons in Montessori education is presented. The lesson is on the creation of the universe, and this one impressionistic lesson is the catalyst for many other lessons in the following weeks. One of those lessons is on a really big idea for the first-through third-graders in Lower Elementary — stellarnucleosynthesis. Breaking the word down gives one an idea of its meaning. Stellar refers to the stars; nucleo refers to nuclear or nucleus; and synthesis refers to the process of combining. Ms. Nancy presents the lesson on stellarnucleosynthesis to the Lower Elementary students. In presenting the stellarnucleosynthesis lesson, Ms. Nancy goes back to that first day of school and first Great Lesson on the creation of the universe. After the big explosion, there were many particles, and those particles were affected by heat and gravity to give birth to hydrogen and helium, which, in turn, led to the creation of stars. The effects of heat and gravity continued exert their influence on space, and the heavier elements, such as oxygen, neon, magnesium and iron, were formed. The lesson not only talks about the big idea of how these elements formed, but it is an introduction to the periodic table. 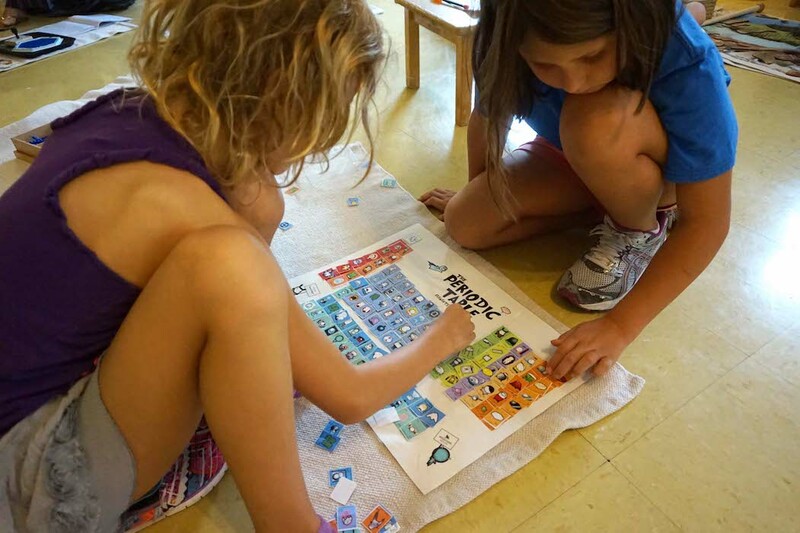 Students work on matching elements to their locations on the periodic table after a lesson on stellarnucleosynthesis in the Lower Elementary class. Although the lesson is relatively short, it introduces the students to the huge ideas of how our universe was created and how everything in the universe is connected. 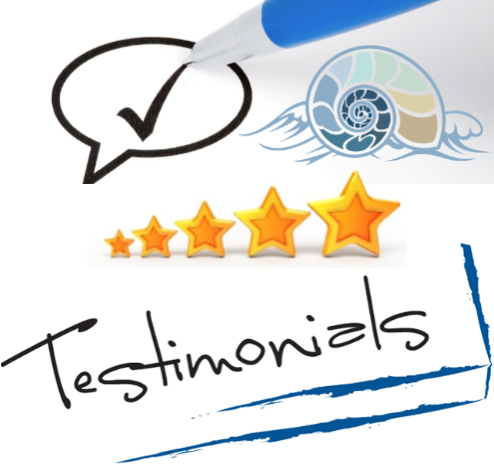 After the lesson, one student commented that the “elements are pieces of stardust,” while another related the lesson to another lesson on solids, liquids and gases. Activities and resources relating to stellarnucleosynthesis are available for students to use. 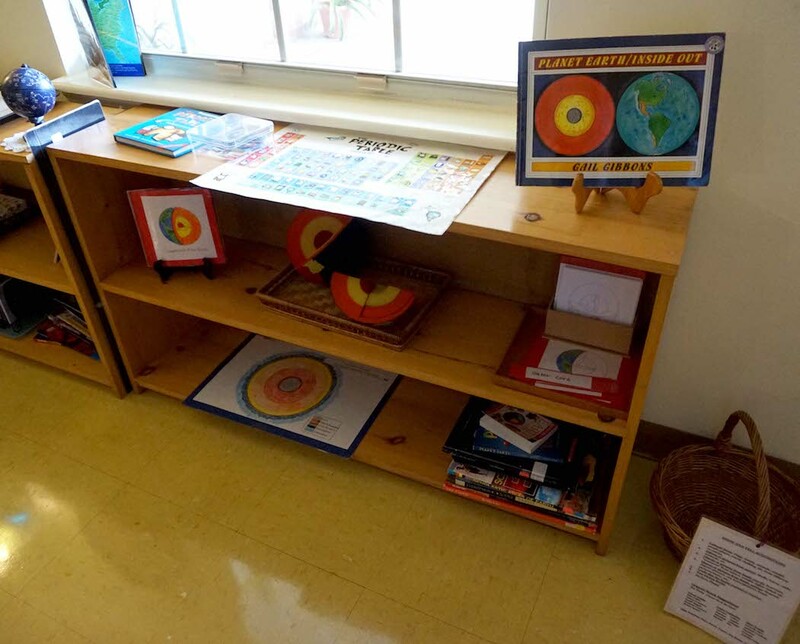 During this time of the year, a shelf in the classroom is dedicated to activities and resources connected to this lesson. One activity has the student matching elements to their locations on the periodic chart. Another activity allows the student to visually show the different elements that formed through these nuclear reactions. 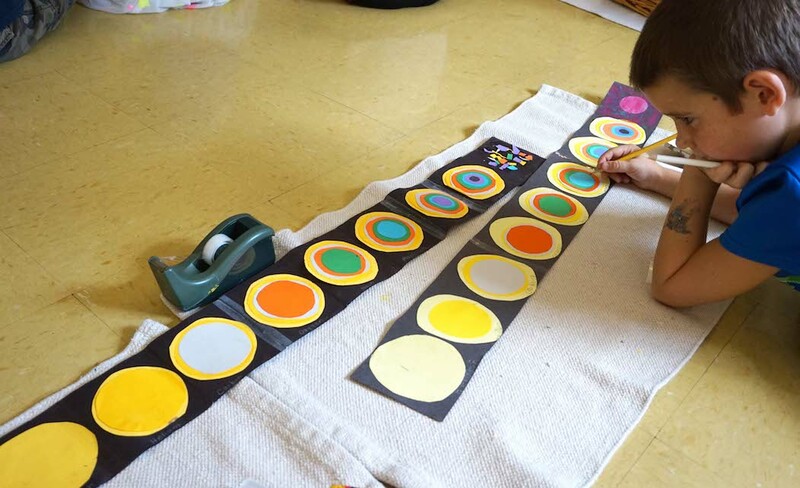 Impressionistic lessons that lead to hands-on activities allow big ideas like stellarnucleosynthesis to be approachable in the Montessori classroom and to spark wonder among our children.